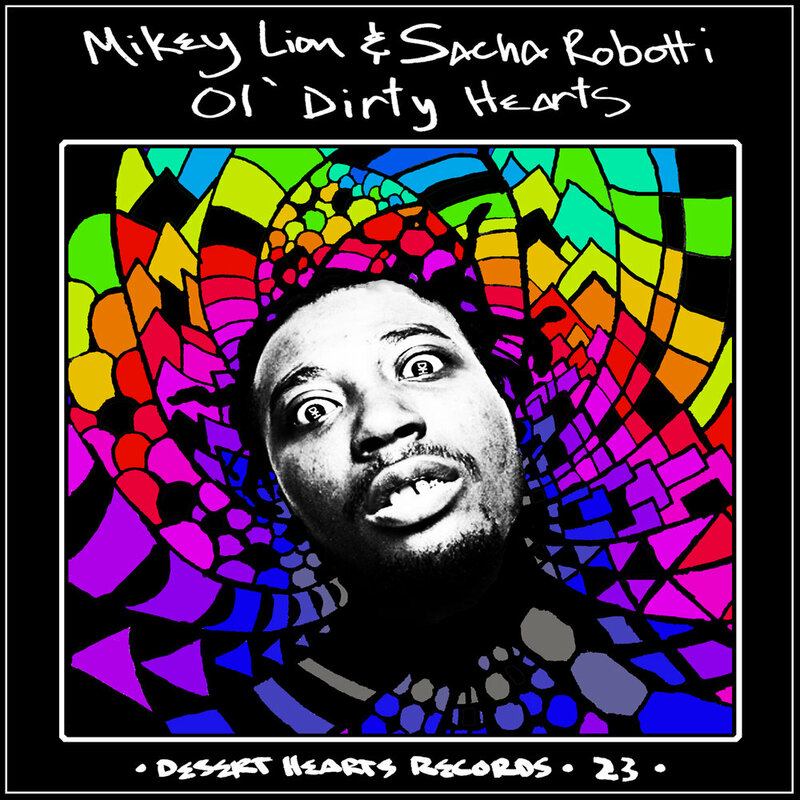 The next EP on Desert Hearts Records comes from Label Boss, Mikey Lion, along with self proclaimed sloth look-a-like and Dirtybird player, Sacha Robotti. The two first met back in 2015 while playing at Dirtybird Campout, but it wasn't until 2016 when the two of them moved to Los Angeles (Sacha from Berlin and Mikey from San Diego) did the two really hit it off. The boys soon found themselves in the studio together and the resulting EP titled "Ol' Dirty Hearts" turned out to be a monster that blends the artists' love for Hip Hop and banging Tech House. The title track is an absolute bomb that utilizes a rare, unused ODB sample to perfection. The crazed build up is matched with a grinding bass synth to bring mass hysteria to any dance floor. The B-Side titled "Flip The Joint" is a much housier bounce track that's sure to take any vibe from opening duties to full on party time. Delayed hits on a swung out bassline make this the perfect B-Side to the madness on the A-Side.